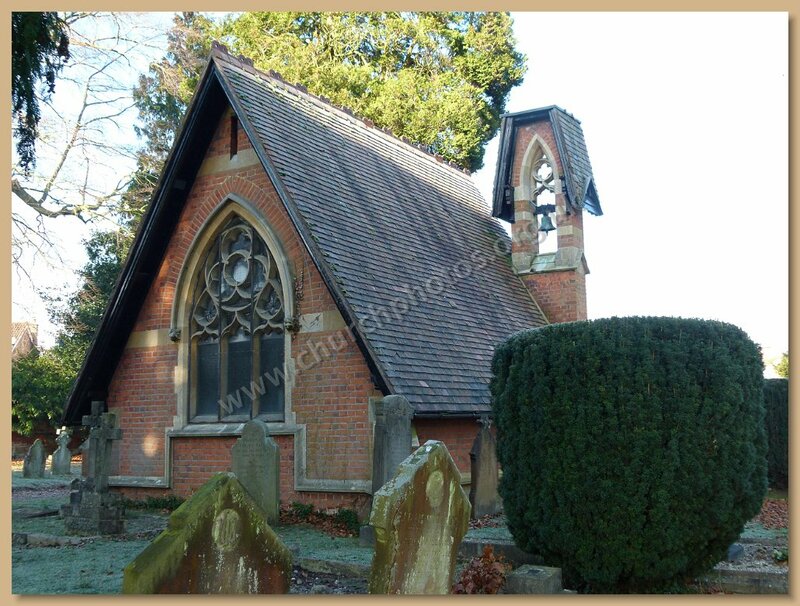 The cemetery is maintained by the Windlesham Parish Council and is in Church Lane, Bagshot. There are burial records on-line on the Parish Council web site. WSFHS CD10(Surrey Burial Index) has burial records for Bagshot St Anne from 1838 to 1879. See our sales page for more information (opens in a new page). WSFHS CD15(Surrey Baptisms Not in the IGI) has Baptismal records for Bagshot St Anne from 1837 to 1876. See our sales page for more information (opens in a new page). WSFHS CD26(Parish Register Transcripts and Indexes in the Chertsey District) has Baptismal records for Bagshot St Anne from 1837 to 1840 and Burial records for 1837-1841. See our sales page for more information (opens in a new page). Bagshot cemetery is in the Surrey Heath district of Surrey. Opened 1807, closed to new burials 1966. 1½ acres including chapel. Visited 2008. A green oasis surrounded by modern housing between School & Chapel Lanes. This was the site of St Anne’s chapel prior to the building of St Anne’s church when Bagshot became a parish in 1875. Oldest legible headstone 1807, cemetery closed in 1966 except for family graves or cremated remains (both into graves and at Memorial wall. Chapel of ease built in 1821 replaced in early 1900s by a small chapel of rest. Notice on door saying it can be hired out. Mature trees and bushes well maintained. Many interesting graves, no signs of vandalism, no laying down of memorials. SHC Z/465/1 CD of data and images of cemetery. Hand-drawn plans of layout including grave numbers. Data from burial records from 1912 and accounts register from 1902. MIs and photographs. Sorted by number and by name. MI index and details held by WSFHS and FSC. The map gives only a general guide to the locality.